Slick ride! Congrats intRRovert on BOTM! Vortex Rearsets, CRG CF Shorty Levers, Intake Flapper Mod, Servo Buddy, Akrapovič Full Race, Bazzaz QS/TC/FI - Z-Bomb - AFM - Map/TC Switch, T-Rex Frame Sliders, T-Rex Spools, Puig - Dark Smoke, Competition Werkes Fender Eliminator, Bike Master Tail light, Tekarbon Front and Rear Fender, Spiegler Alt. 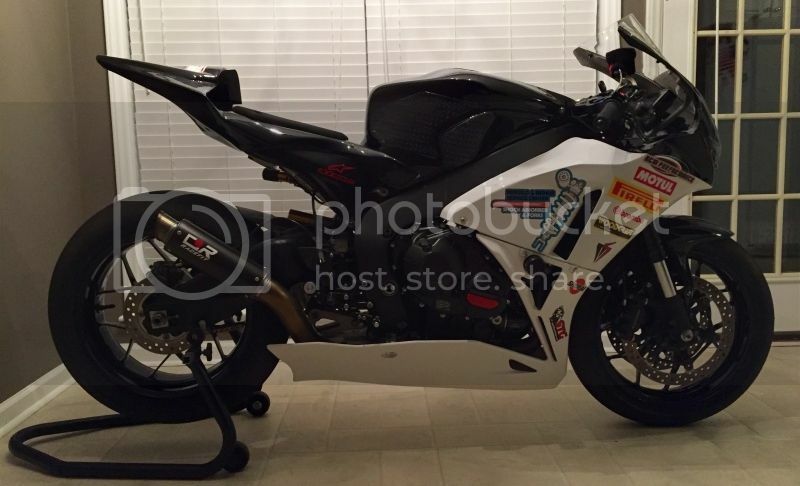 Front/Rear White/Red Brake Line Kit, PSR 2Up Handlebar, 520 Conversion DID Gold w 15/43, RaceTech Front Springs. Awesome. Congrats. What kind of race plastic is that? Thanks guys. Bodywork is Motocarbons. Congratulations. Well deserved. Sweet looking ride!